1924 TOLEDO FIRE ENGINE #6 This popular 2000 Hallmark ornament is 7th in the Kiddie Car Classics Series. It is made of die-cast metal & has turning wheels. It is mint in the original mint box, never used & from a smoke free environment. 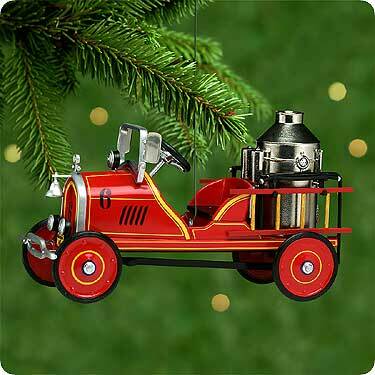 Items Similar To "1924 Toledo Fire Engine #6 Hallmark Ornament 2000"